You now have two choices in how you eliminate wrinkles in the same basic way! BOTOX® Cosmetic and Dysport™ have very real, noticeable results, without surgery or downtime. Facial fillers are an excellent, minimally invasive alternative to plastic surgery to combat aging. 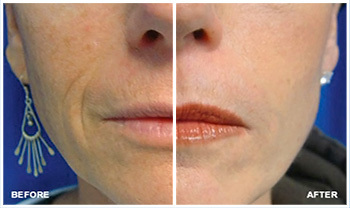 Facial fillers are used to reduce or eliminate wrinkles, raise scar depressions, enhance lips. For all the most popular and in-demand laser and aesthetic treatments, including laser hair removal procedures, skin therapy treatments and more, improvements without discomfort. Whether it is hidden or flaunted, it is our pleasure to help bring out or improve the VIXEN within you! Our medical practice was built on the premise of the way medicine used to be; when PEOPLE came first. We unconditionally educate all and appreciate the ever-changing human condition. Our goal, once a state of healthy rejuvenation is achieved, is to educate clients on how to manage their own anti-aging needs. Encouraging patient-directed treatments leads to longevity (successful, lasting results) and personal satisfaction. Vixen Aesthetics offers an affordable solution to anti-aging and aesthetic needs in an extraordinarily high-cost industry. We are a Physician and RN-based team with advanced training in the arts of injecting: Botox, Facial Fillers, Sclerotherapy, Mesotherapy and the FIRST to introduce to the Midwest: Carboxytherapy. We also offer a wide variety of light to medium-depth Chemical Peels. As skin-care specialists, we are eager to assist and advise you in your at-home regimen. Daily skin care is essential to preserve and maintain the beautiful improvements VIXEN will help you achieve! Save Brilliantly on Allergan Aesthetic Treatments & Products with the Brilliant Distinctions program at Vixen Aesthetics. Join now! 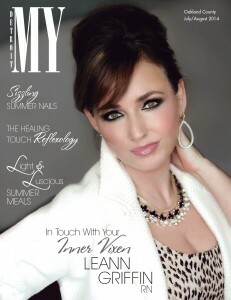 Call Vixen Aesthetics now for a free consultation at 586.580.3585! Earn 2X Points on Latisse when You Join the Brilliant Distinctions Program! Register NOW for NEOCUTIS Swiss Rewards! CoolSculpting Now Available at Vixen!